Is Hwang Min Hyun a ReVeluv? On May 8, Hwang Min Hyun started following a Red Velvet fan account (@revelreveluv_town) on Instagram. According to fans, the Wanna One member unfollowed the account after approximately 7 minutes, but of course, the news quickly spread across online communities, leading to quite a buzz. 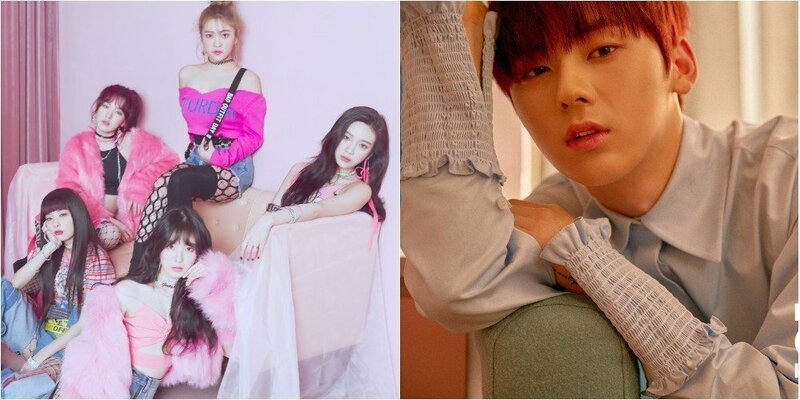 Netizens are debating on whether the following of the fan account was a mistake or Hwang Min Hyun was truly checking out photos of Red Velvet on social media. Whatever the reason may be, netizens are finding the whole situation kind of cute and hoping this won't cause any issues between the fandoms of Red Velvet and Wanna One. Comments stated, "It was probably a mistake", "It's not like some weird account but a fan account. So what if he is a fan or he likes Red Velvet? I think it's cute. Stop spreading weird rumors", "Celebrities can like Red Velvet too."